Maserati, the luxury Italian car brand, has today been announced as official vehicle partner to the Brewin Dolphin Velo Series, organised by UK Cycling Events. 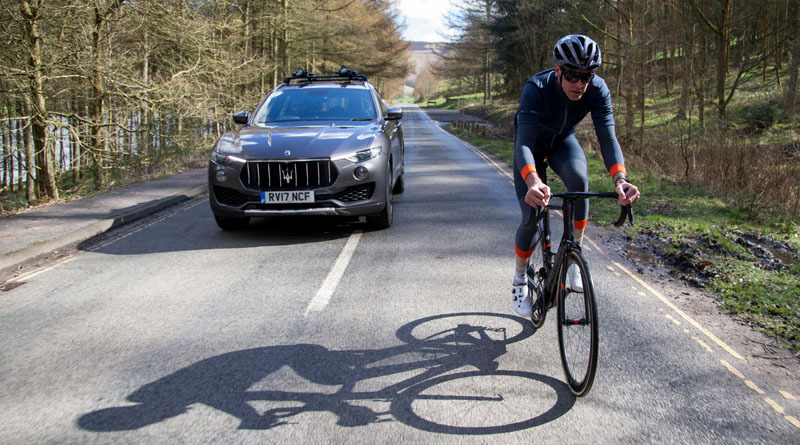 Maserati will be showcasing their range of luxury vehicles at each event, including the all-new Levante SUV – the perfect car for a discerning cyclist looking to travel and transport their bikes in style. Each event offers riders the chance to experience some of the most picturesque riding backdrops the UK has to offer. As with all UKCE events, each has a choice of three routes, is fully signed, fully supported (both medically and mechanically) includes electronic chip timing, marshalling and wellstocked feed stations fuelled by PowerBar energy products and food. Plus there’s now the added option of the new Brewin Dolphin Velo Club ticket for those riders wanting the ultimate VIP sportive experience. The Brewin Dolphin Velo Club ticket includes a custom Brewin Dolphin jersey, complimentary breakfast and lunch and the chance to ride with celebrity guests, including 7-time Paralympic gold medallist Jody Cundy, former British Champion Dean Downing, double World Champion and TV pundit Rob Hayles and double Olympic Champion Philip Hindes.